Junior Siobhan Sullivan is new to the Southerner this year but she is not new to the world of news. In 6th grade Sullivan joined the Mousetrap, the school newspaper at her middle school, with her first story covering the redevlopment of the playground. Eventually, Sullivan proved her strength as a writer and rose to the rank of editor-in-chief. 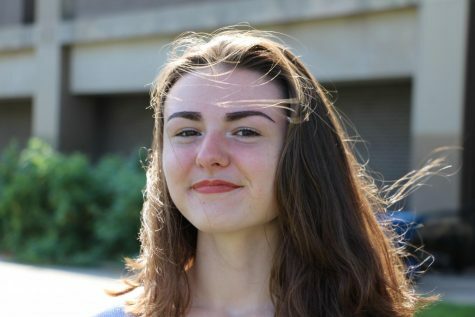 Sullivan enjoys journalism because she likes hearing about other peoples lives and sharing it with the world. Music is a big part of Sullivan’s life and she has been playing the violin since 4th grade. On the average day here at South you might find Sullivan playing away in Chamber Orchestra or singing her heart out in Pop Singers. Sullivan enjoys working with people who are just as passionate about challenging music as she is. When she has time outside of South, Sullivan relaxes by hanging out with her friends or particpating in Irish Dance. This year in Sullivan hopes to learn more about higher level newspaper and is excited for the fast-paced environment. We are are very excited to welcome Sullivan’s expertise to the Southerner and are sure she will make a strong addition to the staff.